Graded by John Claude at Dirty Looks, Tony Benn: Will & Testament (dir. Skip Kite) paints a vivid portrait of a man whose career transcended politics. The long-time Labour MP participated in the making of this moving and informative tribute shortly before his death in March 2014. 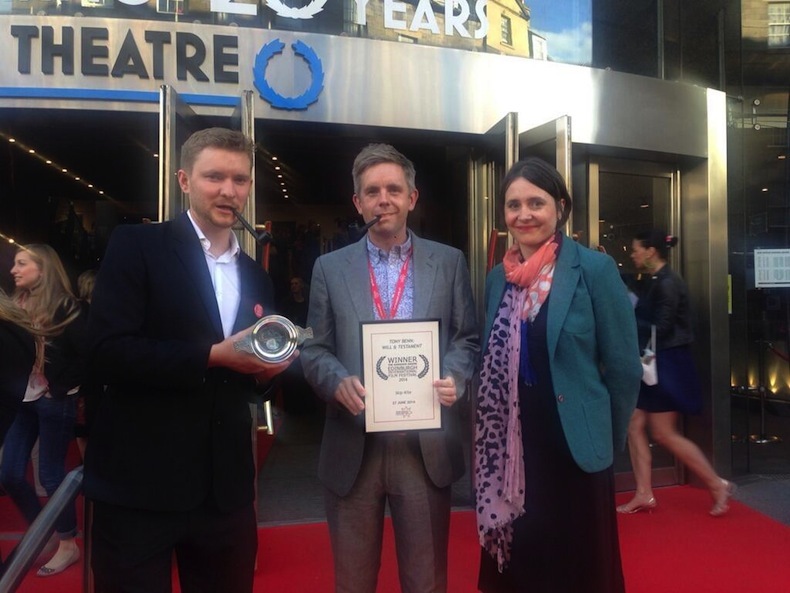 The EIFF Audience Award is voted for by cinema-goers attending public screenings. Fifteen films were eligible from across the Festival at the discretion of the Artistic Director. The Audience Award was announced at the Closing Night Gala of the festival and Dirty Looks were honoured to collect the award on behalf of the production.